The most common sleep disorder is Obstructive Sleep Apnea (OSA). OSA sufferers experience ‘apnea events’ where muscles controlling airways become too relaxed and cause interruptions in breathing during sleep. Some of the symptoms of OSA are constant fatigue, snoring, nasal congestion, and throat swelling. While is there is no cure for OSA, the gold standard treatment for OSA is Continuous Positive Airway Pressure (CPAP). 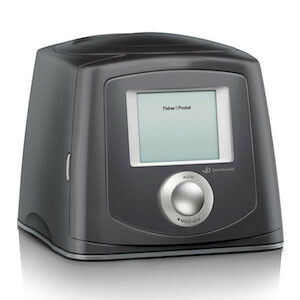 CPAP delivers pressurized room air that keeps airways open to maintain a regular breathing rhythm during sleep. In effect, this helps prevent apnea events and allow for a more restful sleep. If you are concerned that you, or your bed-partner, suffers from sleep apnea, the first step is to have a sleep study performed at a sleep clinic. The results of a sleep study will help determine the severity of the condition and prescribe treatment options. Absolute Respiratory provides quality care and the best possible equipment for those who have been prescribed CPAP by a sleep clinic to treat OSA. Our local on-staff Registered Respiratory Therapists strive to provide a positive CPAP experience and improve the lives of patients and their families. We want you to have good night’s sleep. The CPAP motor pressurizes room air to the prescribed pressure required to keep the user’s airway open during sleep. The intake on the motor has replaceable CPAP pump filters to screen out particulates and impurities in the air. Humidifiers are integrated into the CPAP motor to add moisture to the pressurized air. Using distilled water from CPAP chambers, humidifiers regulate your body’s natural moisture and prevent dryness. Working properly, humidifiers prevent condensation that can lead to CPAP rainout. The hose delivers the pressurized air from the motor to the mask, and are 6′ long. Heated hoses are available for most CPAP machines, and the ideal method for CPAP therapy, providing more effective humidity while reducing condensation in the hose. There are three mask types: nasal pillows, nasal masks, and full face masks. Available in all shapes and sizes, your mask caters to how you sleep and how you breathe for a comfortable night’s rest. 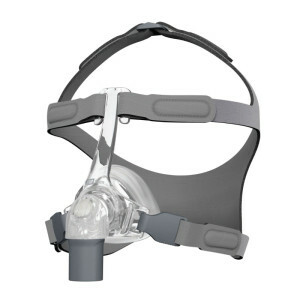 Finding the perfect mask is the key to successful CPAP therapy. The success of your CPAP therapy depends on consistent use and your comfort. Absolute Respiratory offers an optional 30 day trial on CPAP equipment to ensure that we have found the most suitable mask, CPAP machine, and features for your needs. At the end of the trial, you have the option to buy new equipment as selected during the trial, or, should you decline therapy after your trial, there are no fees or charges so long as all our equipment is returned undamaged. We want you to know as much as possible about the machines and masks that will help you get the most out of your prescribed therapy, so we’ve put together the guides below to get you started. If you’ve been prescribed CPAP, don’t hesitate to call or visit Absolute Respiratory for more information, or to book an appointment to get back to good night sleeps.